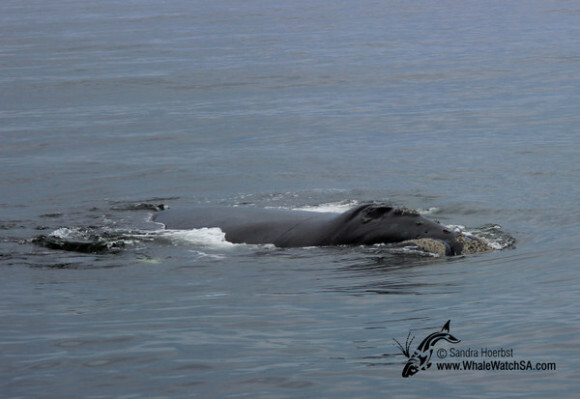 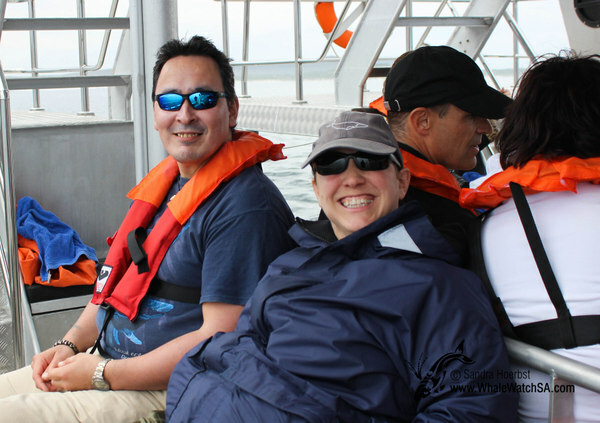 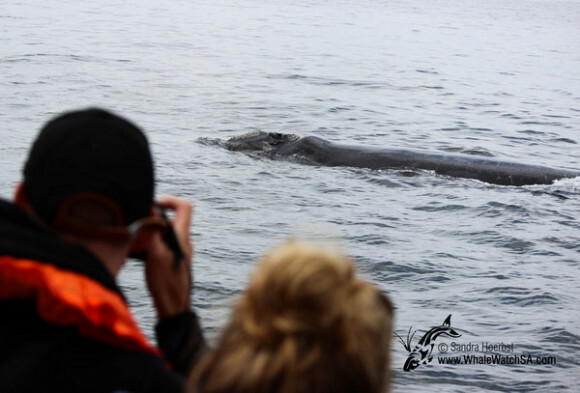 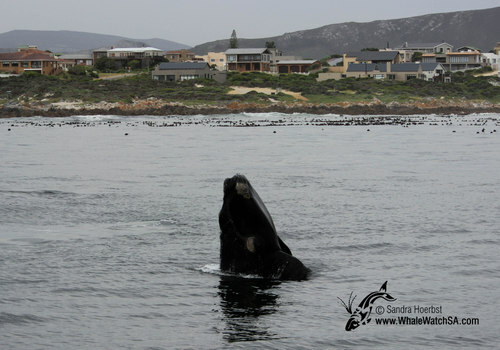 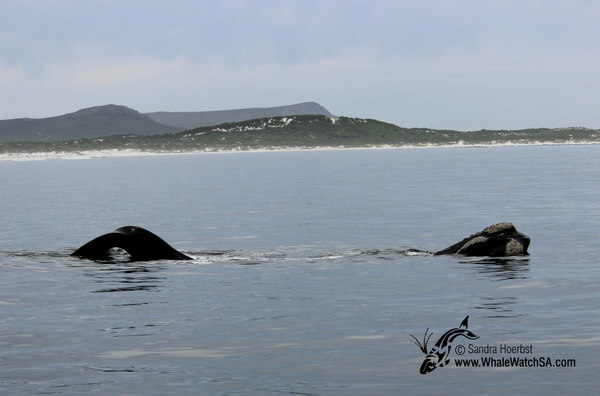 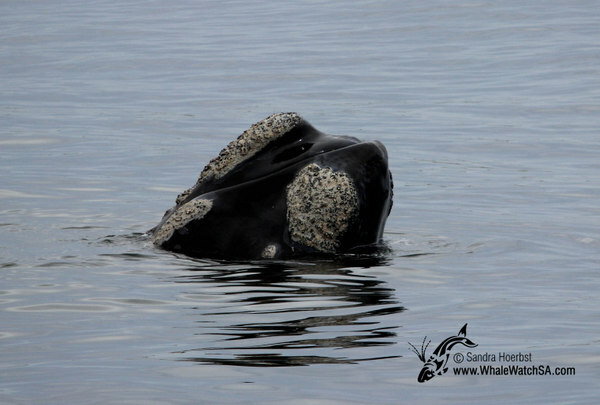 We had close encounters with the Southern Right whales throughout the whole day. 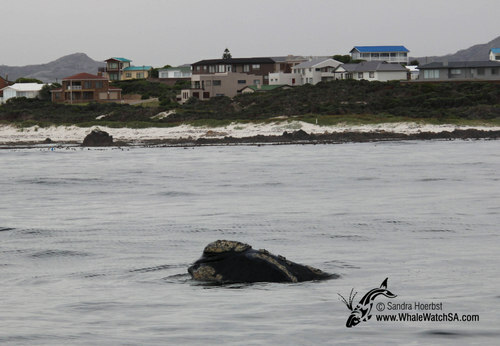 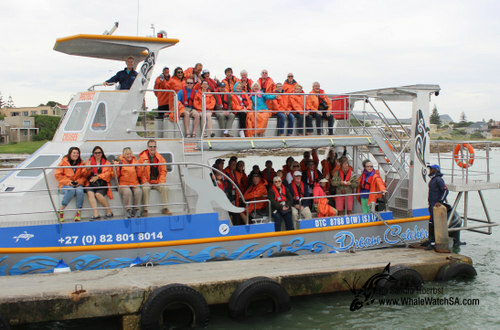 After lauching from our harbour in Kleinbaai we were heading to Pearly Beach were we found a lot of cow – calf pairs. 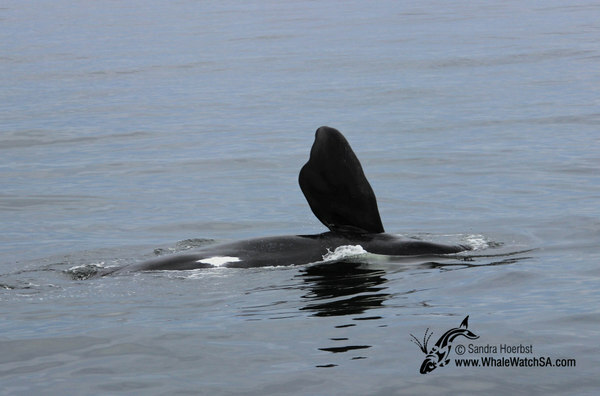 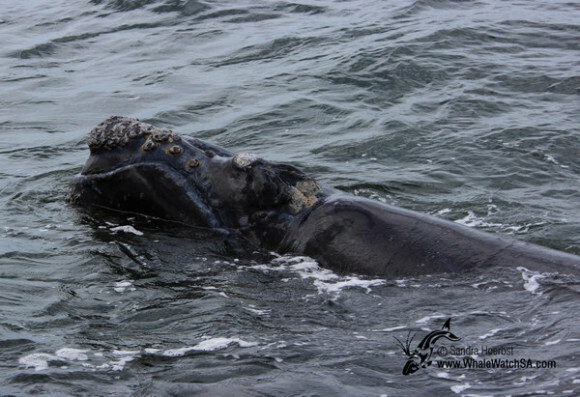 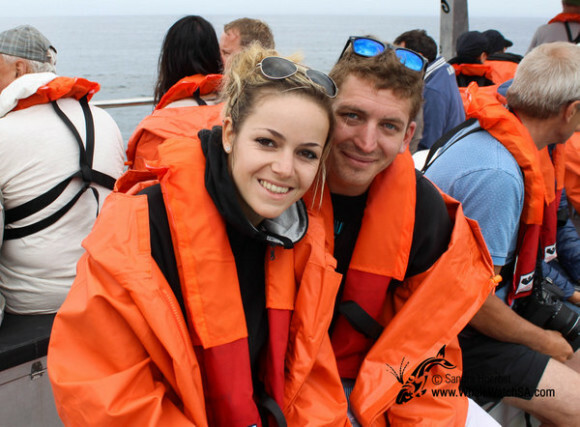 The whales were quite curious today, some of them had a closer look at our vessel Dream Catcher. 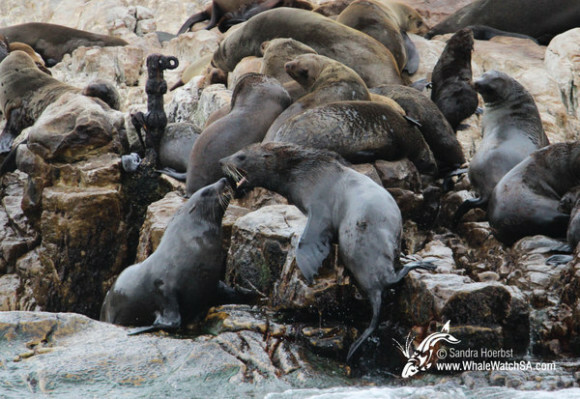 Some of the Cape Fur seals which we also visit every trip were busy fighting over their little space on Geyser Rock. 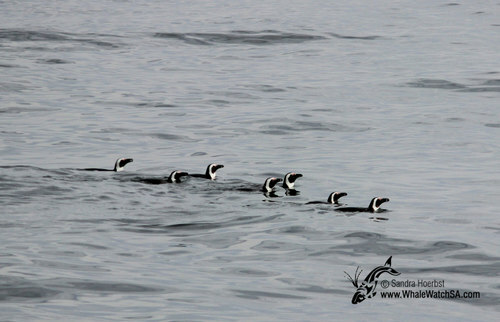 On our last trip for the day we came across seven African penguin, they were on their way back to Dyer Island.